Ricardo White has lived his entire 29-years in District 6, the district he is running in this year to represent in the State House. Today that district encompasses parts of Detroit, Ecorse and River Rouge. The openly gay politician grew up in the farthest outskirts of Southwest Detroit. On the border of Lincoln Park and the downriver communities, the part of Detroit he calls home, has had its share of challenges. White also wants to focus on economic development. White has fond memories of growing up in District 6. White, who attended Detroit public school through middle school and then switched to River Rouge High School, sees hope for change in his district. It was as a young man that White said he first developed an interested in politics. He attributes that to his grandmother. “She basically taught me about government and how it works and some of the people in it. That’s what made me interested in getting involved. And as I got older I came to understand how government impacts people’s lives on a regular basis and the importance that government is working for people,” he said. White works for State Rep. Robert Wittenberg (D-Oak Park). The experience, White said, has been eye-opening. With Stephanie Chang, the current District 6 State Representative, running for the State Senate, White felt it was time for him to step forward. White says no one knows District 6 better than he does. 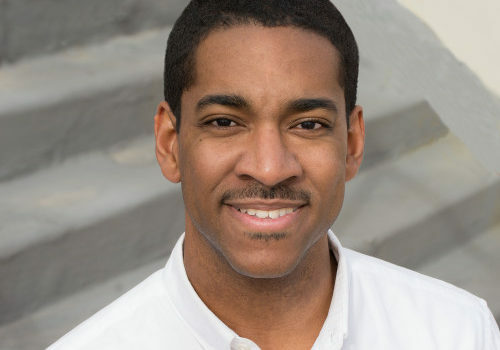 In addition to his work for Wittenberg, White, who has a Bachelor’s Degree in International Relations and Public Administration from Central Michigan University, serves as the treasurer of both the 13th Congressional District Democratic Party Organization and the Michigan Democratic Party Youth Caucus. Outside of politics, White’s interests are simple. He says he reads a lot and enjoys hanging out with friends and travel. He has been with his partner for just over a year. With his mate supporting his political aspirations, just how far would White like to go? To connect with Ricardo White email ricardoforrep@gmail.com. Learn more about Ricardo White online at ricardoforrep.com.